Inspired by the celestial figure of the guardian angel, Nomination has created an elegant collection of wing pendants symbolising protection, strength and trust. A delicate 925 Sterling Silver chain features a beautiful inset angel wing decorated with sparkling cubic zirconia. 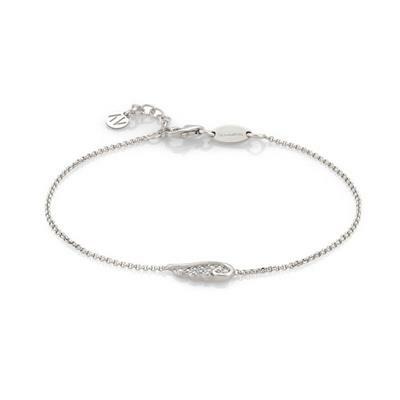 This fabulous bracelet is a meaningful gift perfect for women of all ages, sending a special message of good wishes.